New York City is the birthplace of police hostage negotiatons and home to a special team of officers which responds to those calls where officers encourage parties to talk. Police hostage negotiators negotiate with the unknown on the scene where parties are emotionally charged and audiences are common. 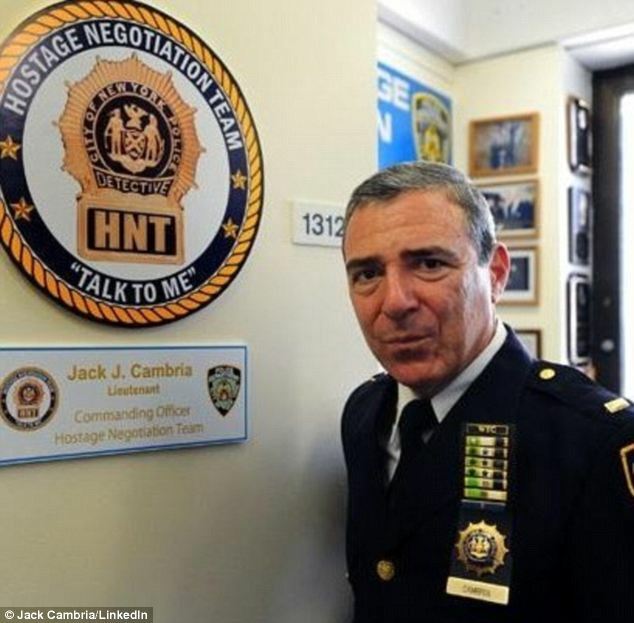 At this Roundtable, Lieutenant Jack Cambria, the chief hostage negotiator of New York Police Department's Hostage Negotiation Team since 2001 will reflect on the HNT's past and discuss criteria for selecting negotiators, the composition of the team, how police negotiations work, the role of emotions and rationality in hostage negotiations, and how negotiators build rapport under stress. New York. He was assigned to ESU in the ranks of Police Officer, Sergeant and Lieutenant, (his current rank). He has extensive experience and certifications in all facets of these operations, and is a New York State Certified Police Instructor. He holds numerous awards for bravery and dedicated service. He has responded to and served on many high profile assignments such as both World Trade Center disasters, plane crashes, and a variety of hostage and barricade situations, particularly violent and suicidal individuals. He also served as the Rescue Team Manager of the FEMA-Urban Search and Rescue Task Force. Because of his solid foundation of achievements, Jack was assigned to his current position; in command of the agencies elite Hostage Negotiation Team. His current duties consist of coordinating the efforts of over 100 negotiators, who respond throughout New York City to all hostage related assignments. He is responsible for the training and certification of all new negotiators and refresher training of all current members of the team. Jack has conducted in-service training for many International, Federal, State and Local Law Enforcement agencies. In 2006, he and some select members of his team were dispatched to the U.S. Military Base at Guantanamo Bay, Cuba to conduct hostage negotiation training for members of the United States Joint Task Force. He has also served as a technical consultant in the entertainment industry, where he advised on the major motion pictures, ‘The Taking of Pelham 1-2-3,’ ‘Jack Ryan,’ and ‘The Amazing Spider II;’ additionally for the television series, ‘Life on Mars,’ ‘Blue Bloods,’ ‘Unforgettable,’ ‘Elementary,’ and currently, ‘The Mysteries of Laura.’ Jack has authored several scholarly articles on negotiations and has achieved his Masters Degree in Criminal Justice from the John Jay College of Criminal Justice in New York City, where he is currently serving as an adjunct professor.